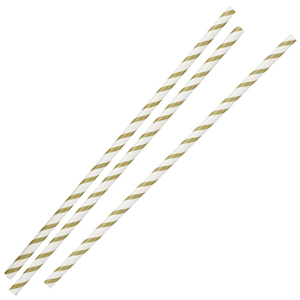 With Mix and Match Gold Paper Straws, you can throw one of the most glamorous parties around! 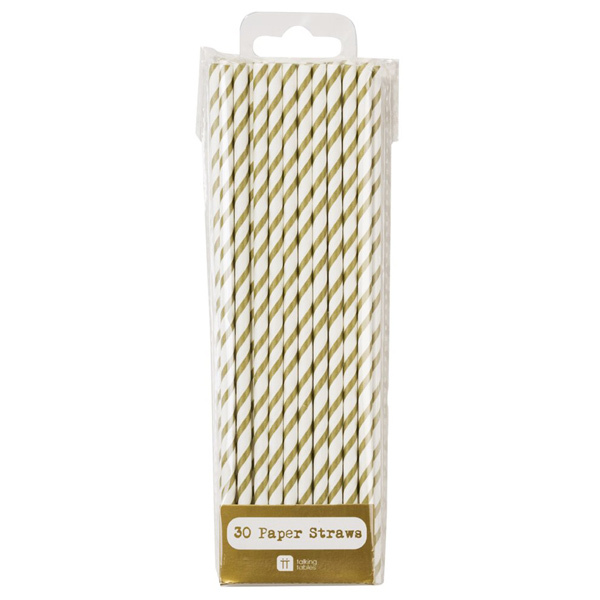 Paper drinking straws are the ultimate eco-friendly choice. The vintage stripey straw design offers a retro throw-back, the perfect finishing touch for classy cocktails. 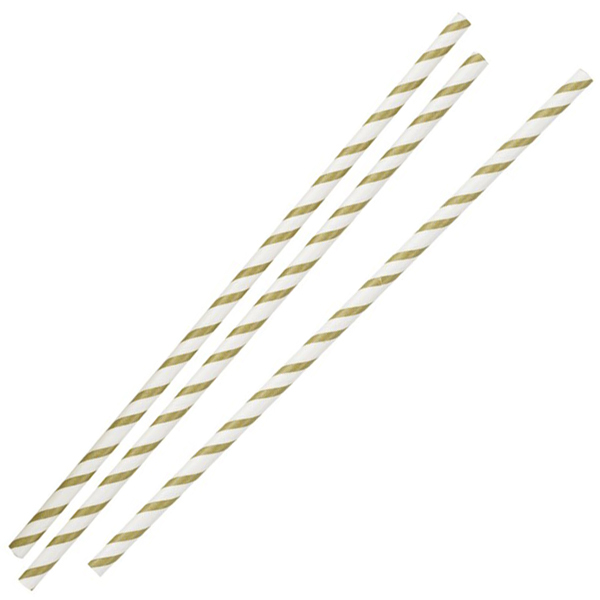 The ideal accessory for weddings, these biodegradable straws add a touch of glitz to any drink.